The centenary of the Russian Revolution of 1917 is being marked in the dark days of a seemingly global counter-revolution. In the time of Recep Erdoğan, Theresa May, Narendra Modi, Vladimir Putin, Michel Temer, Donald Trump, Jacob Zuma, and all the rest, communist confidence in the future often appears as a form of faith unhinged from reality. The philosophical foundations of that confidence lie in a reading of Hegelian dialectics considered as a triadic system of thesis-antithesis-synthesis moving toward a definite end. Marxism, it is often said, repeats the logic of this abstract system in the material realm with each epoch of production understood to be laying the basis for its negation on the march to communism. But if there is a general sense of movement in 2017 it is in a very different direction. Amid the gloom of the present it is perhaps a propos to return to the bleak period when Lenin faced the holocaust of the First World War, and the betrayal of European social democracy. In 1914, after the Marxist parties across Europe voted in support of the imperialist war, Vladmir Lenin spent a year reading Hegel in the public library in Bern. He discovered a critical conception of dialectic that had appealed to Marx. Rather than a synthesis of opposites, Lenin now underscored the transformation into opposite as a moving principle. He emphasized that dualities within every social formation were not only products of external pressures but also, and more importantly, internal contradictions. Lenin wanted to understand how radical political movements and parties transform into their opposites and become chauvinist, conservative and authoritarian. The Russian revolution is not the only moment of rupture with oppression that transformed into a totalitarian society. On the contrary counter-revolution from within the revolution has been so commonplace that it almost seems like an iron law of history. Yet we are shocked every time. Critique is often little more than new cycles of denunciation of ‘the treason’ of new parties of liberation. There is an urgent imperative to move beyond this moralism and develop a properly philosophical-political critique of why revolution after revolution has come to mirror much of what it initially set out to oppose. On 3 April 1917, Lenin stepped off a train, sealed by the Germans who did not want him fermenting revolution on the way, and gave a speech at the Finland Station in St Petersburg. Standing on top of an armoured car, and illuminated by a searchlight, Lenin greeted the revolutionary Russian proletariat, and the revolutionary Russian army, commending them on starting a social revolution. He added that the proletariat of the whole world needed to turn the imperialist war into civil war. Lenin had already begun writing State and Revolution in 1916. He emphasised that the ‘transition’ to socialism required a radical form of democracy that would enable everyone to freely participate in the daily management of their lives. The unemployed, the landless peasant, and, in a phrase that would later be taken up by C.L.R. James, “every cook”, would participate in governing. Lenin’s concept of ‘everyone’ is radical. It is not about citizenship or legality and it does not substitute some or other part of the people for the people as a whole. It includes everyone and all the new subjectivities that have become objective in thinking about human freedom. Fearing arrest Lenin left the draft of what would become State and Revolution in Switzerland. The book remained unfinished because the practical business of revolution interfered. While practice towered above theory, the preparation for revolution after the ‘betrayal’ of 1914 also questioned what theory was. To ask what is Marxism was not to ask about strategy and tactics (and endless polemics against reformism and so on) but to question its philosophical assumptions. Lenin’s return to Hegel would help to provide a method for developing clarity on the situation so that the power of ideas could also become a material force. 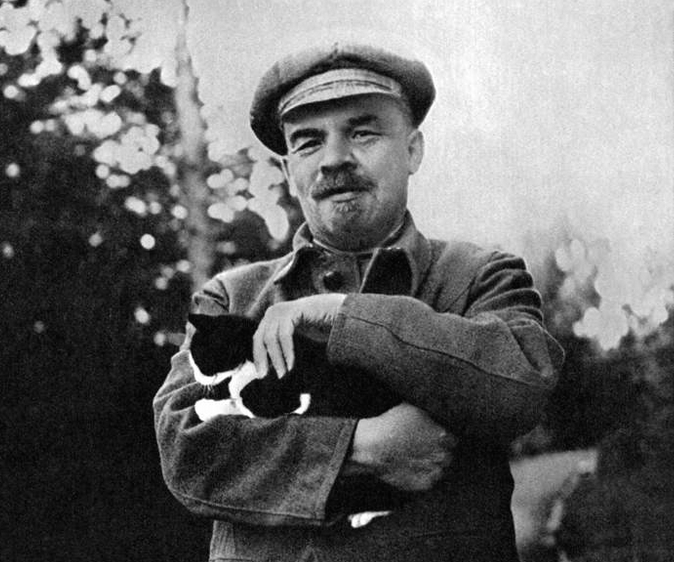 What Lenin gained from his philosophic study was not simply an elucidation of the dialectic but liberation from the crude materialism of what had passed as Marxist theory – the stultifying catechism that had become a millstone around the neck of the socialist movement. For Lenin the revolutionary what was learnt in the realm of philosophy became immediately concrete in the realm of practice. Hegel’s notion of movement and self-movement, a central element of the dialectic, became connected to Lenin’s thinking of the objectivity of subjectivity in the politics of liberation. Lenin noted the principles of dialectic, focusing on the idea of “transformation into opposite” which became immediate in the context of imperialism. The betrayal of the socialist parties had an objective basis. Imperialism, Lenin argued, had created an aristocracy of labour in the imperial countries, an aristocracy that acted as a bulwark for imperialism. But this transformation into opposite had, in turn, created its own opposite. The notion of “self-movement” invigorated the idea of “self-determination of nations” from a principle easily repeated to a new politics that demanded acts of solidarity with the new subjects of revolution appearing in anticolonial struggles. The subjectivities of these new political actors had become objective, upsetting the “order” of politics. Lenin argued that they could play a world historic role and be a “bacillus” for the proletarian revolution. The 1916 Easter rebellion in Ireland was a world historic event that proved the value of Lenin’s thinking. He lashed out at those international socialists who dismissed movements for national liberation. He argued that these socialists had been hoodwinked by imperialism and called their thinking “imperialist economism”. Lenin insisted that “to imagine that social revolution is conceivable without revolts by small nations and in the colonies … is to repudiate social revolution.” For these socialists revolution had become an abstraction removed from the practices of actual revolt. It had no concrete content, no mechanism to link ideas to practice. Unlike some Bolshevik colleagues Lenin did not think that the Russian revolution meant the end of anticolonial struggles or, as Bukharin argued, only support of self-determination “in some cases.” The examples Bukharin gave were in Southern Africa and India, a long way from home and thus easier to support. Lenin asked “how is it that Comrade Bukharin has forgotten a small tribe, the Bashkirs?”, noted that “we have Bashkirs, Kirghiz and a number of other peoples” and insisted that “to these we cannot deny recognition”. Bukharin was impatient, Lenin argued. He wished to impose socialism on these peoples by decree, or by force if necessary. “Scratch some Communists and you will find Great-Russian chauvinists,” Lenin concluded in a report in 1919. He pointed out that some Communists in the “Commissariat of Education” command that you “don’t dare to teach in any language but Russian!” He warned that the ‘Great-Russian chauvinist’ “lurks in many of us, he must be combated.” The aspiration to the universal inherent in the communist idea could mask crude forms of prejudice. It was a vital insight. Challenging Bukharin’s orthodoxy, Lenin argued that the objectivity of the Russian revolution, and the objectivity of the new anticolonial revolts, made possible what had widely been considered impossible (including by Lenin himself): namely that anticolonial struggles might not be doomed to a capitalist stage but could, with forms of direct democracy organised through local councils, take a different path. Comrade Trotsky … seems to say that in a workers’ state it is not the business of the trade unions to stand up for the material and spiritual interests of the working class. That is a mistake. Comrade Trotsky speaks of a ‘workers’ state’… ours is a workers’ state with a bureaucratic twist to it. The reality, Lenin continued, is that workers needed trade unions “to protect the workers from their state.” This was a decisive observation, one that recognised that the revolution faced reaction from within as well as from without, and that the revolution itself was a site of struggle. And struggle does continue. People continue to act to change the world. But a century after Lenin’s breakthrough in Bern, what Marx had called ‘dogmatic abstraction’ continues to constrain possibilities to link theory and practice in productive encounters. It is in what Marx called ‘the real movement’ – the sphere of actual struggles undertaken by women and men acting to change the world that, if thinking is understood as an essential force in the creation of the ‘objective world’, emancipatory prospects can be nurtured, defended and advanced.